The Christian church expanded exponentially in its earliest days, and its impact was phenomenal. What changed? Six major things. The early church majored in these concepts: we need to get them back. They Believed God Uses Everyone: The early church was filled with servants. Today’s churches are filled with spectators. The early church didn’t have impact because of financial backing, great buildings, organizational structures, or really expensive audio/video equipment. They had impact because everyone was a player – spectating simply wasn’t an option. They Lived to Unleash Compassion: In the 2nd chapter of Acts, verses 45 through 47 outline exactly how the early church was able to reach so many open hearts. First, they sold their property and possessions and gave to people who had needs (good deeds). This led to the favor of all the people (good will), which created an openness to the good news of Christ. Today, we have it backwards. We share the good news without good deeds, so there is no good will. No wonder we’re not having the same impact. They Exchanged Self-Centered Living for Sacrificial Giving: Nothing happens by accident. Starting with Jesus, all expansion of the kingdom of God is the result of somebody’s sacrifice. Imagine the impact on our country if overnight every single Christian made the decision to live for things that were more important than pleasing themselves. They Were Passionate for the Last and the Least: The least are not people that are less valuable or important. They are, however, people who are easily forgotten. Jesus tells us that whatever we do for the least, we do for Him. Today’s church has let the least slip through its fingers. They Were Passionate About People Far from God: The early church was passionate about helping the people who were the hardest to reach: the people who were far from God. Today’s church has lost its love for people. If we want to have the same impact as the early church, it’s time to repent and get it back. They Were Called to a Full Commitment to Both Grace and Truth: Scan through the Bible and you’ll see that everything rests on two foundations: grace and truth. Today’s church has a tendency to major in one and minor in the other. When we loosen our grip on truth, we no longer have a solid foundation. When we lose our grip on grace, we become toxic Pharisees. To be more like the early church, we need to hold on to both. When the Christian church gets it right, there is no more powerful force on the planet. It’s time we went back to our roots: to a church filled with people who were active, compassionate, passionate, and committed to Christ’s impact on the world. Want more resources just like this? Join us at Thrive Leadership Conference Southwest, in Palm Springs, CA on March 1-3, 2018! Click here to find out more. 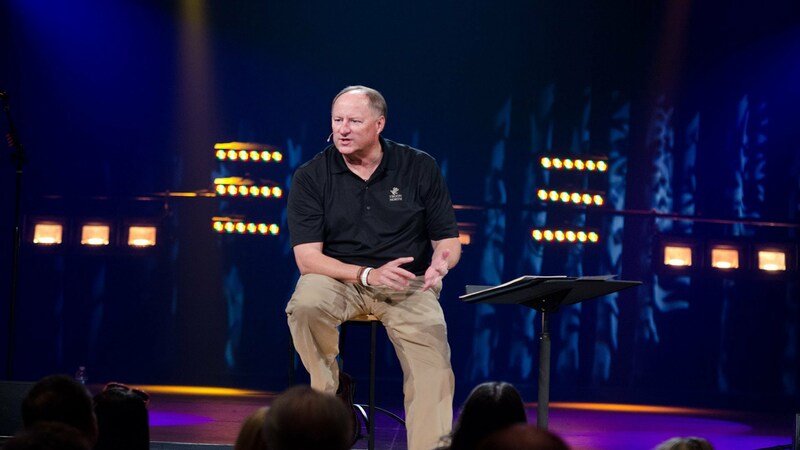 Ray Johnston is the founding pastor of Bayside Church in the Sacramento, California suburb of Granite Bay. Under Pastor Ray’s leadership, in just seventeen years Bayside has become one of the largest churches in the nation, with over 11,000 people coming together every weekend for worship, teaching, prayer and connection at the main campus, and thousands more in multiple daughter churches throughout the Sacramento area. Ray is the president of Thriving Churches International, and a veteran of both youth and adult ministry, having toured the nation for years as an instructor for Youth Specialties. A graduate of Azusa Pacific University and Fuller Theological Seminary, he was Chairman of the Department of Youth Ministry at North Park College and an adjunct professor at Trinity Evangelical Divinity School. He currently serves on the Board of Directors at Azusa Pacific University. Ray and his wife, Carol, are the proud parents of Mark, Scott, and twins Leslie and Christy. "Adequate resources don’t change the world. People with hearts strengthened by hope change the world!" Adequate resources don’t change the world. People with hearts strengthened by hope change the world!